From many angles Whiteless Edge looks extremely sharp, but it's no such thing, as this picture shows. It is, however, an enjoyable, airy route. 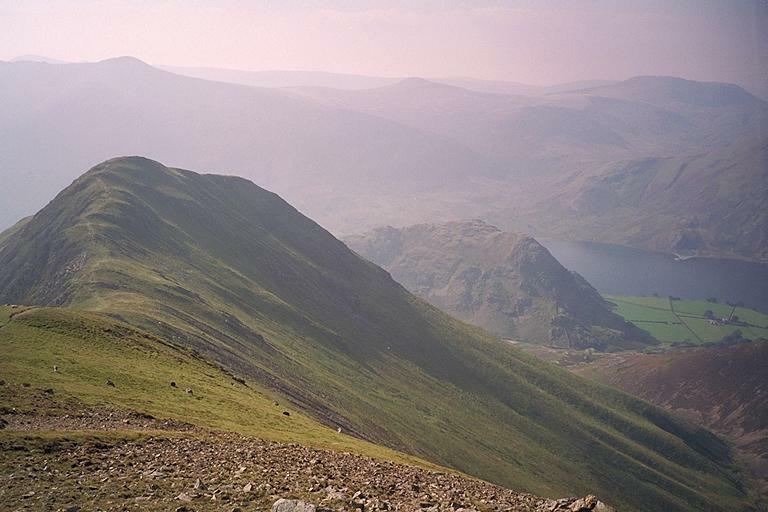 On the horizon, from the left, are the peaks of Red Pike, Starling Dodd, and Great Borne. Rannerdale Knotts obscures the eastern end of Crummock Water. Smaller version of this picture.